In a highly competitive market, employers recognise that employees with the right skills, experience and knowledge are essential to the success of their businesses. Human resources (HR) plays a key role in modern organizations and businesses, be they private sector, public sector or voluntary. This HR Management course covers diverse topics in HR, from the role of the human resources manager and how to recruit, select, train and assess employees, to employee motivation, employee-employer relations, and how to manage change within an organization. This Human Resources Management course gives a thorough knowledge and understanding of the important role HR plays in organizations, and will be of great interest to HR business professionals as well as those who are pursuing a career in this area. This course will teach you the responsibilities of a human resource manager. It will help you to understand the recruitment, selection and appraisal processes. You will gain knowledge of different cultures and ethics. This course will also help you to manage change within an organization and demonstrate the best ways to manage employees. This online course is applicable to HR professionals across the world in all sectors and organisations. If you are looking to achieve a successful career in Human Resources management, this course will demonstrate to employers that you have expertise in the area. Successful candidates will be awarded certificate for “HR Management Training”. 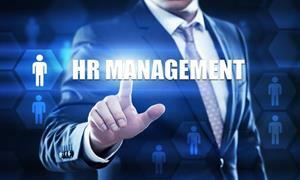 Fill out your details to find out more about HR Management Training.